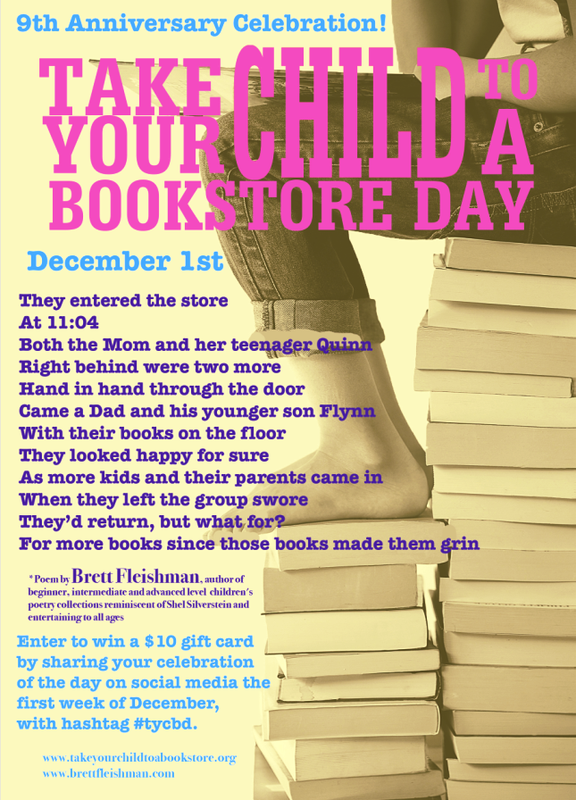 Created by author Jenny Milchman, the first TYCTB was celebrated by 80 U.S. bookstores and has now grown to include more than 800 stores in every U.S. state, seven Canadian provinces, and countries on five continents. They’d return, but what for? So grab a kid— anyone’s will do —and head to your nearest indie bookshop. This entry was posted in Books, Bookstore Tourism, Canada, USA, Writing and tagged American Booksellers Association, Bookshops, Children's literature. Bookmark the permalink.